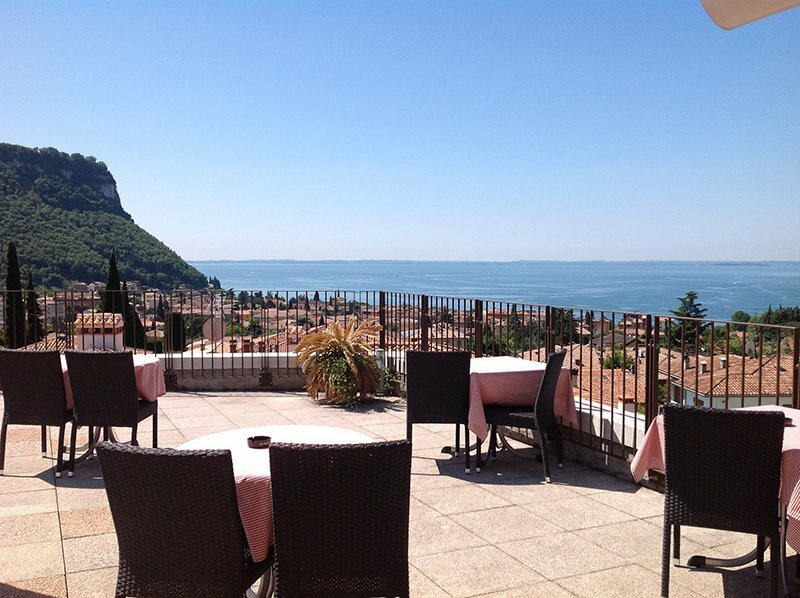 In a panoramic and quiet location, away from traffic, you can enjoy breathtaking views of Lake Garda, the historic center and the green surrounding. 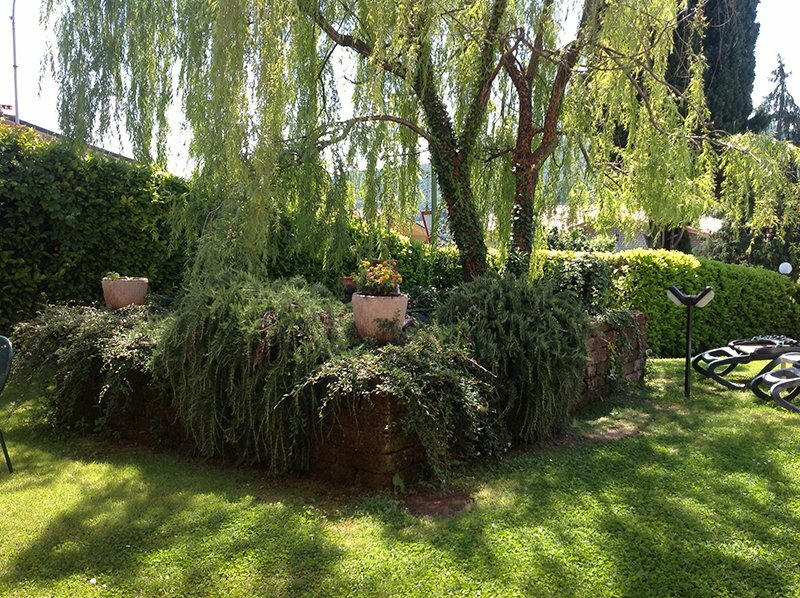 The center of the picturesque fishing village is only approx. 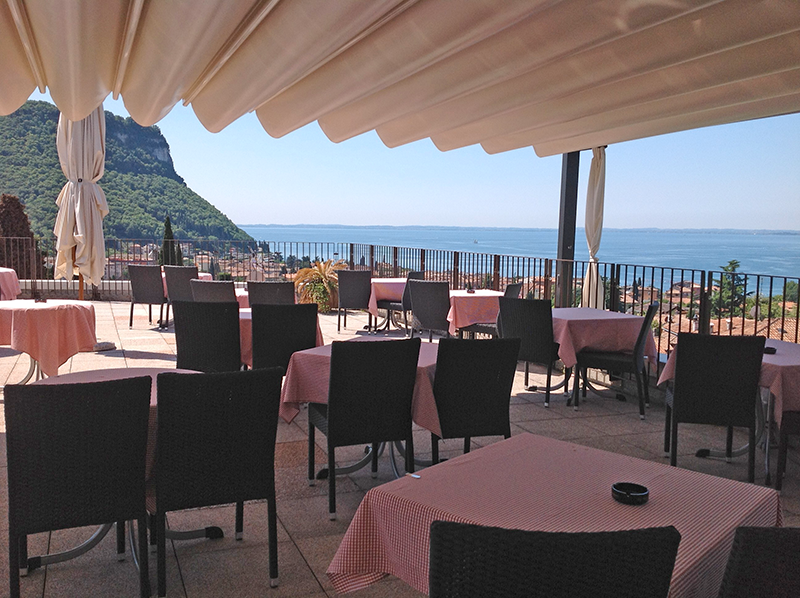 600 meters away and offers many restaurants and ice-cream shops along the promenade and also offers one of the most beautiful beaches of Lake Golf course “Ca degli Ulivi” is also within minutes. 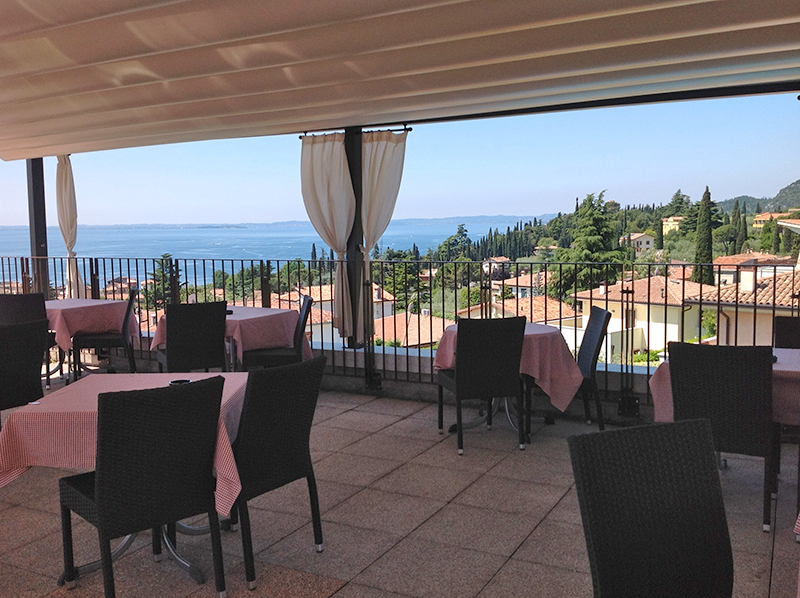 Car park, a bar, an underground garage, Ping Pong Room and a fantastic lake-view terrace where breakfast is served in the summer months. 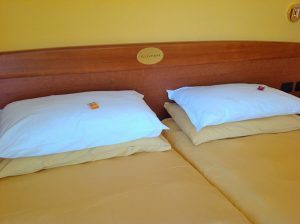 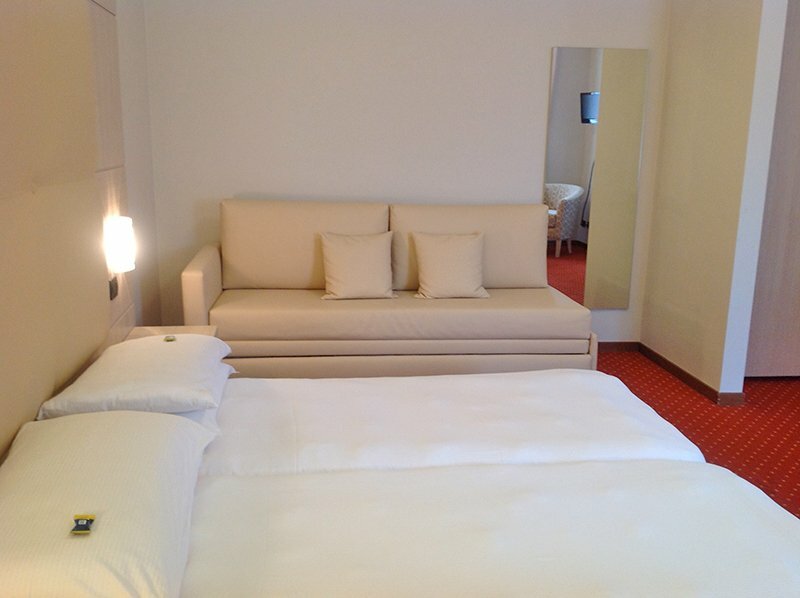 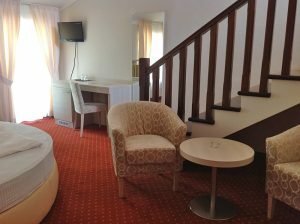 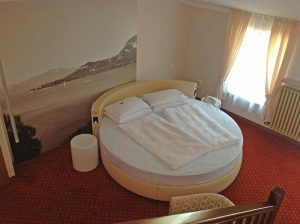 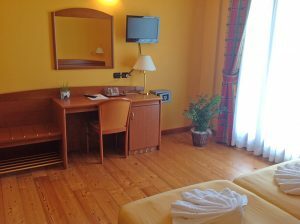 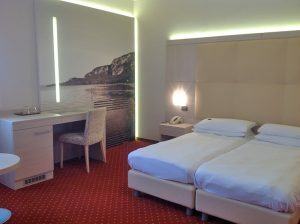 All the rooms are cozy and furnished to the utmost comfort, at an affordable price for everyone. 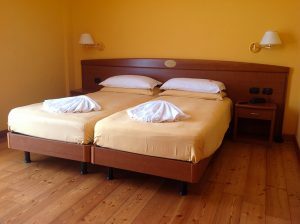 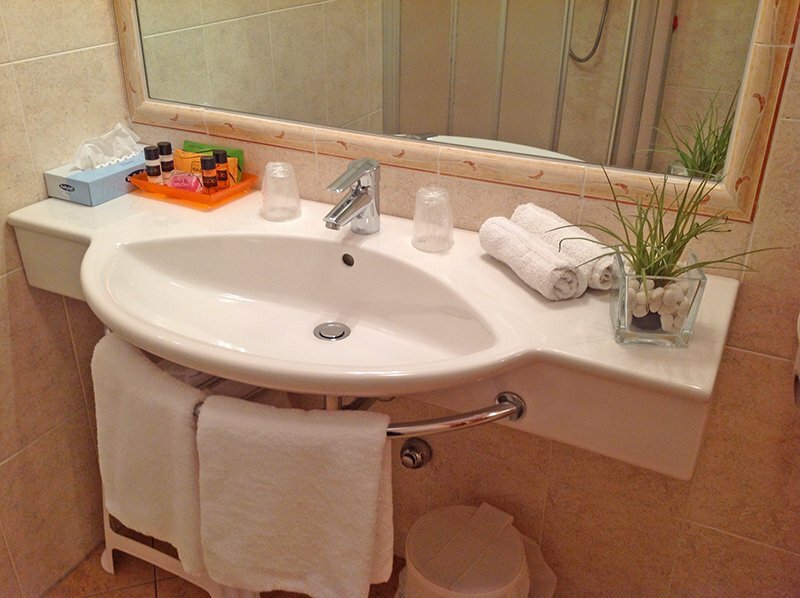 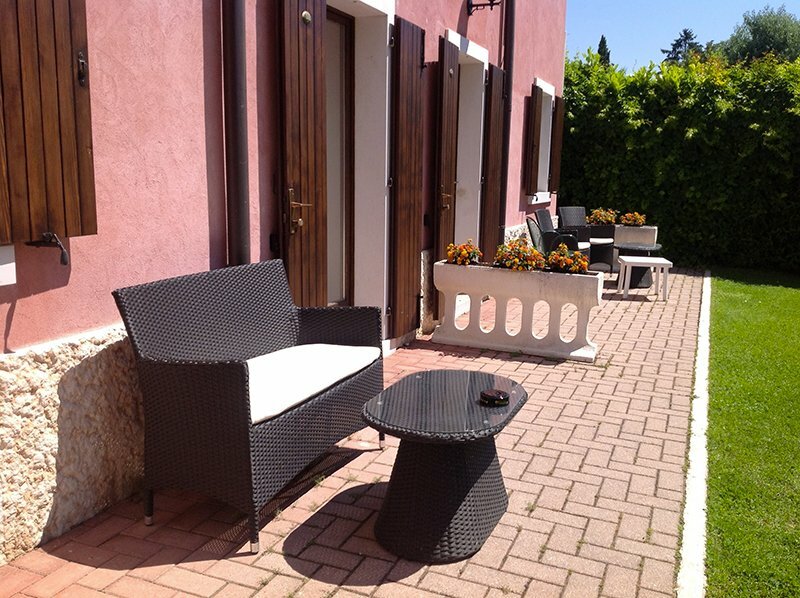 Some rooms have views of Lake Garda and have a full bathroom with shower, minisafe, TV-Sat, telephone, minibar, hairdryer, air condition adjustable independently, toiletries, soft slippers and free WiFi. 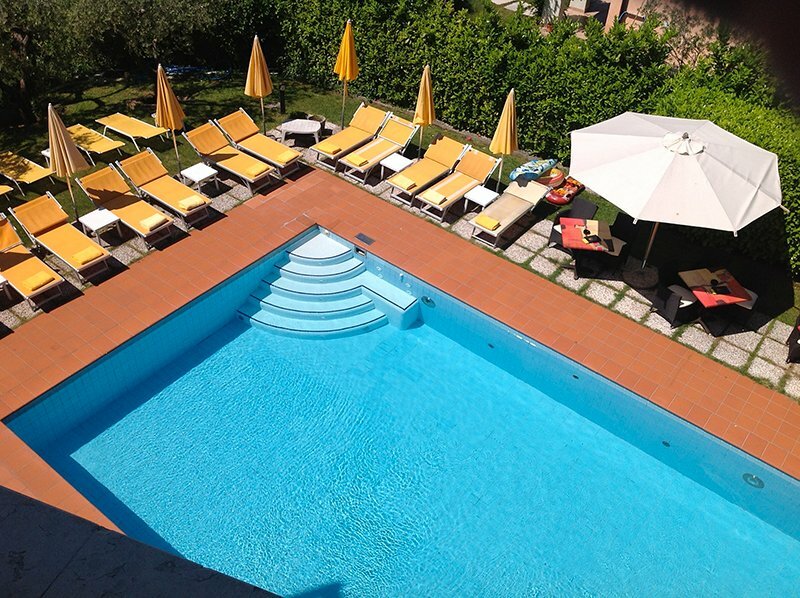 Troverete una borsa con soffici teli – piscina che potrete utilizzare per tutta la durata del Vostro soggiorno. 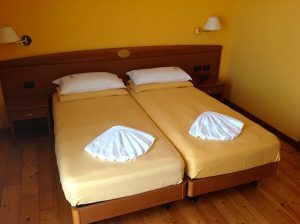 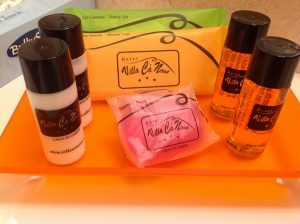 You will find a bag with fluffy towels for the swimming pool which you can use for the duration of your stay. 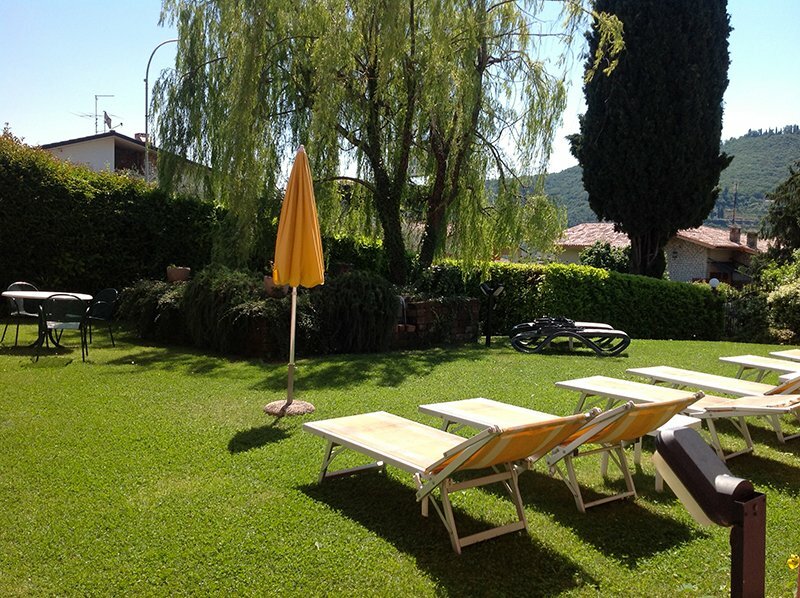 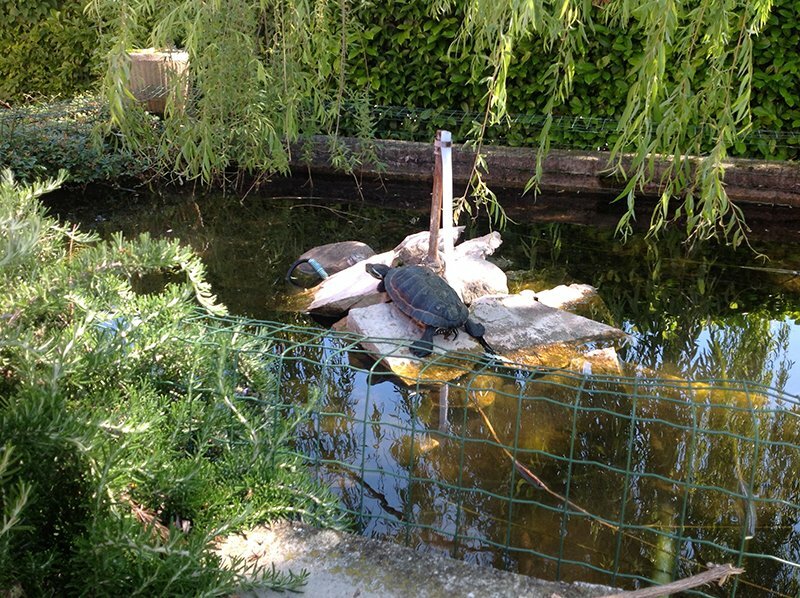 For a relaxing time, a swimming pool with a well-kept garden is at your disposal. 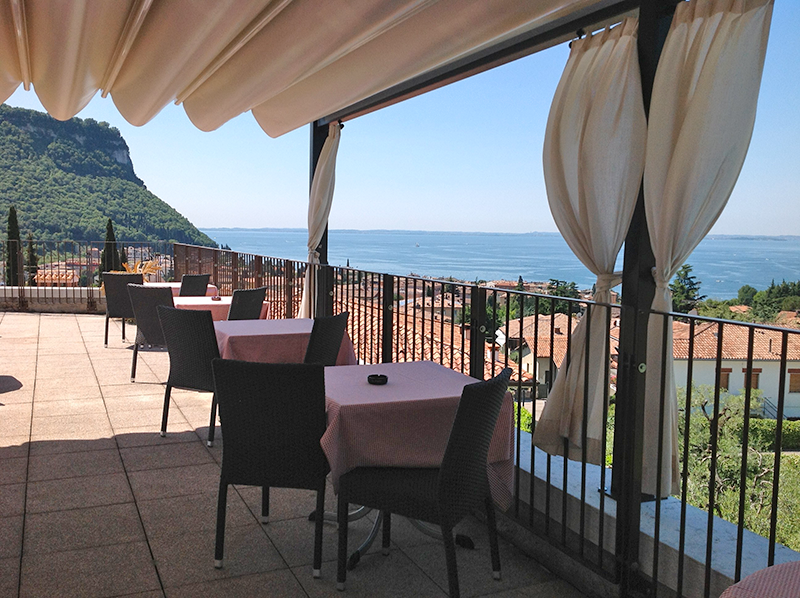 The fantastic terrace overlooking the Bay of Garda and the landmark “La Rocca” is a wonderful place where you can enjoy breakfast but also evening cocktails.